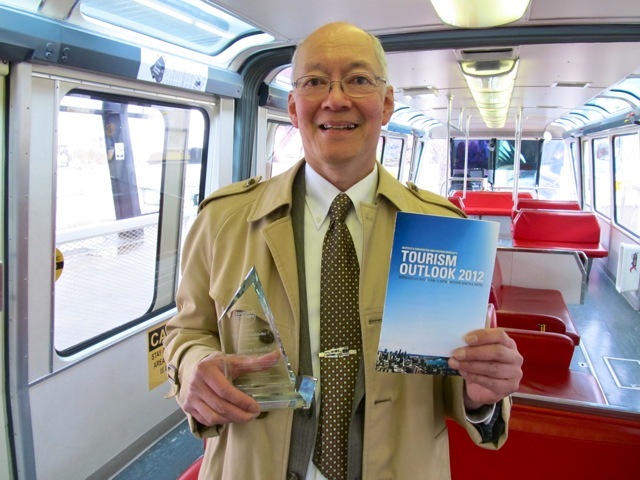 In February 2012, Seattle’s Convention and Visitors Bureau (SCVB) named Jayme Gustilo the 2012 Tourism Ambassador of the Year. Jayme was selected from dozens of nominations by a judging committee that represented a cross section of the tourism and travel industry. 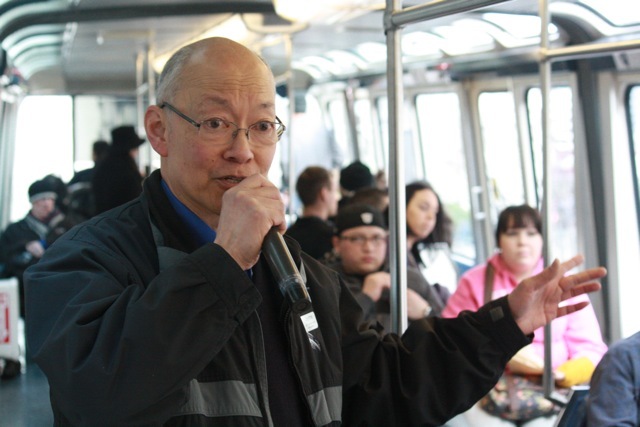 In more than 20 years on the job, Jayme Gustilo, Lead Monorail Cashier, has served over eight million Seattle Center Monorail passengers, selling tickets, answering questions and narrating the 90-second city tour on each ride. 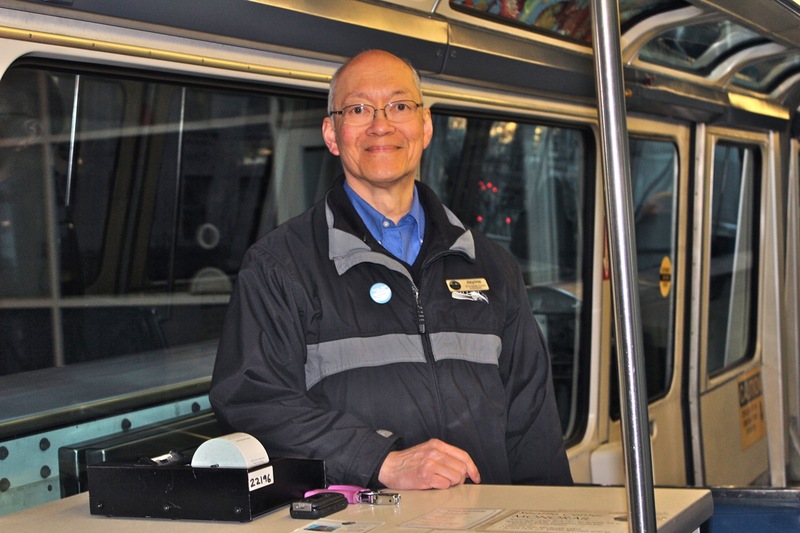 During his career at the Monorail, Jayme has been on the train for approximately 165,000 monorail miles. During his time as the 2012 Tourism Ambassador of the Year, Jayme met with many of his fellow nominated Seattle Tourism Ambassadors. 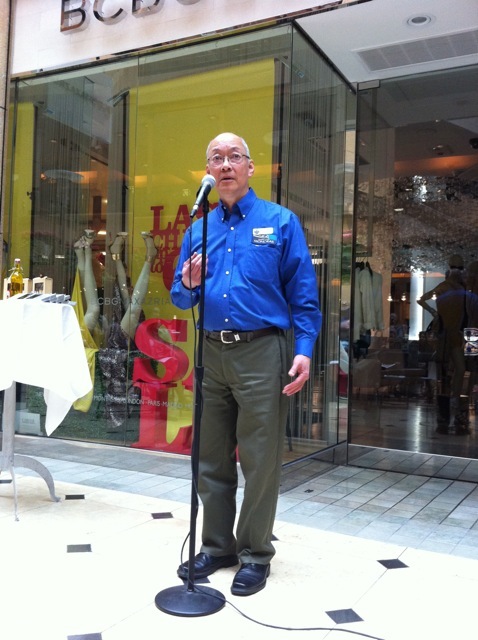 Some of the highlights from Jayme’s time as Ambassador include speaking at Pacific Place Mall’s Tourism Tenant Meeting about the importance of exceeding customer expectations, being interviewed about the Monorail’s 50th Anniversary by Meeghan Black on Evening Magazine, and being a guest speaker at the Seattle Hotel Association’s Annual Meeting to share his experiences and talk about the importance of tourism. In February 2013, Jayme will pass on the torch to a new Seattle Tourism Ambassador. 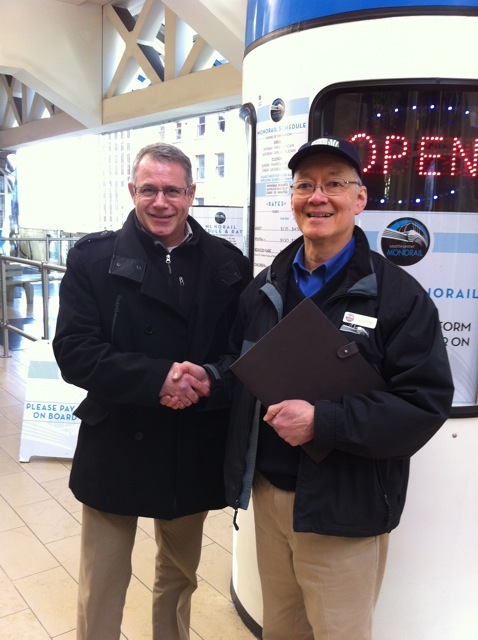 Seattle Monorail Services commends Jayme for his above-and-beyond commitment to tourism and customer service. 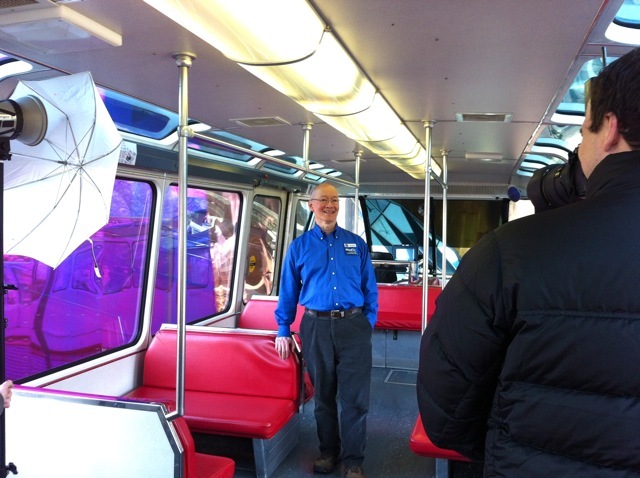 Jayme has been an incredible Ambassador for Seattle as the Seattle Center Monorail celebrates its 50th year of service.